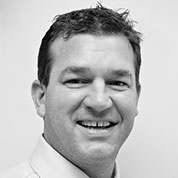 Dr. Nico van Helsdingen completed his undergraduate studies in medicine at the University of the Free State in 2001. He worked as a senior medical officer in Ophthalmology at 2 Military Hospital in Cape Town in 2004 and obtained an ophthalmology diploma (DIP (Ophth) (SA)) in 2005. Dr. Van Helsdingen went on to specialize in Ophthalmology at the University of the Free State in 2007 after working as senior medical officer in Ophthalmology at Boitumelo Hospital in Kroonstad in 2006. He was privileged to obtain valuable experience and extensive eye surgery training, including the field of vitreo-retinal diseases (diseases at the back of the eye). In 2010 he received a MMed (MMed (Ophth) (UFS)) from the University of the Free State and also became a member of the Fellowship of the College of Ophthalmologists (FC (Ophth) (SA)) in the same year. He started in private practice in Somerset West in 2011. He has a keen interest in vitreo-retinal diseases and surgery, including Age Related Macular Degeneration, Diabetic Retinopathy, Macular Diseases and Retinal Detachments. In order to provide comprehensive eye care in the anterior and posterior segments of the eye, which include cataracts and glaucoma, all the latest technology in the field of ophthalmology is available at his practice. Dr Falletisch graduated at the University of the Witwatersrand and Fellow of the College of Medicine of South Africa. He is registered with the Health Professions Council of South Africa as an Ophthalmic Specialist, and is a Member of the European Society of Cataract and Refractive Surgeons. 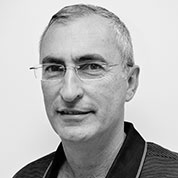 Having done additional post-graduate training in ophthalmology on the Moorfield’s circuit in London and held Consultant Ophthalmologist positions with the University of the Witwatersrand, St John’s Eye Hospital and De Beers Ltd, he has broad experience in general ophthalmology. Dr Falletisch has been a Visiting Consultant Ophthalmologist to the Wellington Eye Clinic in Dublin and Ireland and has been instrumental in the founding of the Eersteriver Eye Unit and the My Little Eye Project. He also has a specialised interest in cataract and refractive surgery and a developing interest in squint surgery. 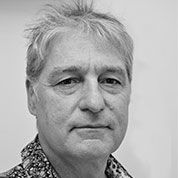 Dr Cockburn studied Medicine at the University of Cape Town. She was awarded a MBChB degree with First Class Honours in 1991 achieving Distinction in the Pre-clinical and Clinical years. She was awarded the University Gold Medal in Medicine and the Barnard Fuller Prize for best student overall. She then worked for 8 years in several sub-specialities in the Public Sector as well as in General Practice prior to beginning her speciality training in 2000 in the Department of Ophthalmology at Groote Schuur Hospital, Cape Town. What originally drew her to Ophthalmology is that it combines medicine and surgery requiring well developed diagnostic skills and fine microsurgical ability. Above all though, it was the prospect of being able to greatly improve quality of life by restoring vision that attracted her to this speciality. After qualifying as an Ophthalmologist in 2004, she worked as a Consultant at Groote Schuur Hospital for 8 years where she was responsible for the Cornea and External Eye Diseases unit and jointly responsible for the Ocular plastics, Lacrimal and Orbital unit. She was instrumental in the roll out of Eye Care in the Public Sector, including establishing a full time Eye Clinic and Cataract Surgery Service at Eersteriver Hospital – now considered the public sector flagship in terms of high volume cataract surgery in South Africa. In 2007 / 2008 she spent a year in London studying Community Eye Health at the London School of Hygiene and Tropical Medicine (University of London) achieving a Masters in Community Eye Health with Distinction. Her interests and expertise are in anterior segment diseases (cataract, cornea and ocular inflammation), oculoplastics / lid surgery and medical retina. She is married and has 3 children. Her non-ophthalmic interests include hiking, photography and chess. 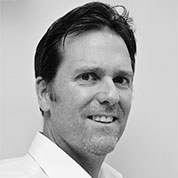 Gavin Bingham graduated from the University of Cape Town with an MB;ChB in 1980. Over the next five years he practiced in a variety of medical disciplines and hospital environments, including Edendale and Applesbosch Mission Hospital in KZN, and the Red Cross Children’s Hospital (paediatrics) and Groote Schuur (surgery) in Cape Town. From 1986 to 1989 he specialized in Ophthalmology under Prof Tony Murray at Groote Schuur Hospital. Thereafter he spent three years in the ophthalmology department gaining further experience in medical and surgical retina as well as oculoplastics. In 1992 he opened a private practice in Somerset West. At the same time he obtained his pilot’s licence, and used a Piper Twin Comanche to establish an ophthalmic service to the rural towns of Graaff Reinet, Upington and Springbok. All three practices have been passed on to other ophthalmologists, and these areas continue to have eye services. He still uses the aircraft to provide a retinal service in Namibia. Gavin has nurtured the concept of a dedicated eye facility in Somerset west for many years, and is excited about the new possibilities it offers. 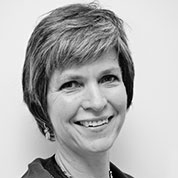 Dr Beatty was born and educated in Cape Town, South Africa. He completed his undergraduate studies in medicine at the University of Cape Town in 1997. He received a diploma for ophthalmology in 2002 and went on to specialize in Ophthalmology at the University of Stellenbosch in 2003. He received a MMed from the University of Stellenbosch as well becoming a member of the Fellowship of the College of Ophthalmologists in 2007. Dr Beatty offers the full spectrum of eye care and surgery, but has special interests in Cataract and Refractive surgery, Glaucoma, Diabetes and Macular Degeneration.